Since the publishing of the book “17 Things to Do in Your 20s,” more and more 20-somethings have been showing up at Ken’s seminars. 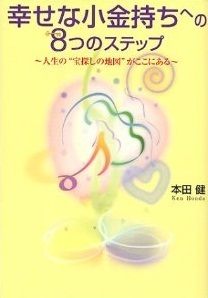 The comment that comes up more than any other is “I can’t figure out what I like to do.” Even at parties, young people always approach Ken with a very serious expression, telling him “I know I want to do something, I just don’t know how, or even where to begin.” Ken gathered the solutions to all these problems and worries into this very book. As you read along, you may find the exact answers that you were looking for and receive a clear image of how you really want to live your life. You were born to do what you love! Everyone wishes they could live each day to the fullest, spending time doing what they love. However, most people put what they “have” to do ahead of what they actually “want” to do. Many of us are guilty of putting work, chores, and school ahead of our dreams. This book is for anyone who is fed up with a life of just checking off items on a never-ending to-do list. Unfortunately, most people in this world spend their lives doing something unfulfilling because they don’t know what they really love to do. 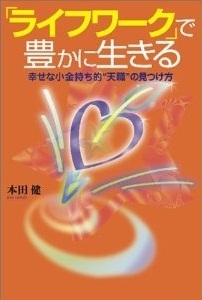 If you are one of those people, this book will introduce the basics for discovering your natural gifts and abilities. The path to discovering what you were born to do can be discovered by realizing what your innate abilities are, and then cultivating them. “But what if I do what I love and can’t make money? What if I have no gifts?” "Do What You Love" sweeps away such misconceptions and illustrates how to live a more satisfying life filled with gratitude. As you read this book, you’ll begin to see a world where you can do the things you really love, too. Introducing “The Relationship Matrix” - For everyone who has trouble with personal relationships. 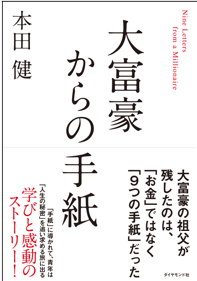 This is the third book in the successful series, “The Millionaire’s Philosophy to a Happy Life.” The last time we saw Ken, he was smooth sailing into the world of business after studying under his two mentors, the American millionaire and Swiss banker. However, this story picks up when he had no choice but to fly back to America without being able to heal a rift in his relationship with the love of his life. When a chance meeting with a new mentor gave Ken a chance to study the matrix of personal relationships, he began learning how to control the powerful and influential emotions that each of us experience, and realized the importance of building quality relationships with those around him. 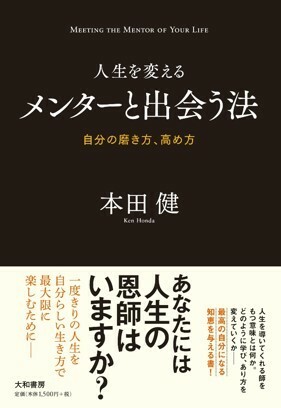 Written after the Great Kanto earthquake of 2011, Ken Honda created this book about the wisdom of personal relationships after observing how people often struggle through life in a state of emotional turmoil and fear. This book teaches how to heal the wounds of past relationships as well as the wisdom of how to get along peacefully with everyone in our lives. This is a great book for anyone concerned about interpersonal conflicts or relationships with others. How can we break free from money’s control over our lives? 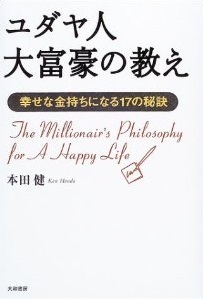 This book is the second in the huge hit series, “The Millionaire’s Philosophy to a Happy Life.” The story takes place one year after meeting the millionaire that changed Ken’s life. Beginning from the adventure of this second round of lessons, this book further examines the true essence of money and how to live happily. Covering both emotional and financial freedom, you’ll find it full of helpful hints on how to live in happy prosperity. Together with the young Ken Honda, you’ll learn what money and happiness truly means. You can definitely achieve your dreams! This book chronicles how a young Ken met the millionaire that would change his life. When Ken asked his new mentor to explain the laws of success for life and business, he was sent on one trial after another. “Gather 1000 writers within 3 days.” “Sell 1000 light bulbs within 3 days.” As Ken challenged himself to succeed at each task, accomplishing feats on par with being stranded on a desert island, he learned the secrets to becoming both happy and prosperous. 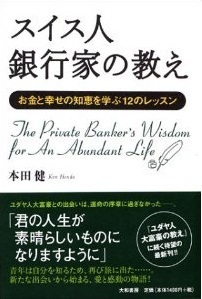 Ken studied all branches of finance and researched the “millionaire mentality.” With a financial consulting firm, an accounting firm, and even a venture capital business all under his control, this financial expert and best-selling author gathered everything his mentor taught him into this narrative. 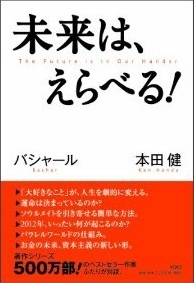 This is a powerful book. 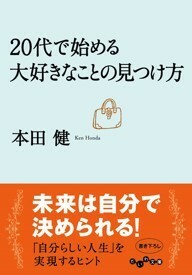 It is filled with hints to help guide you toward a prosperous life, and is sure to leave a great impact. It is the first and foremost book of the series that has sold more than 2 million copies.